1. It is part of an ongoing plan for changing the shape of the Middle East including the eventual bombing of Syria and the overthrow of Assad. Cameron said that any planned British bombing of Syria would require Parliamentary approval but that he reserved the right to bomb Syria if it was immediately necessary in the national interest. Miliband apparently supports this. 2. It is stupid and hubristic to intervene militarily in a region where all UK and US intervention have resulted in greater instability, death and destruction. That is, it is stupid if it is intended to do good for the people of the region. Given the destructive means and ends of prior interventions one must be forgiven for thinking that the motives are less than benign. 3. Cameron admits that this will be a ‘generational struggle’, in other words the people of the region are being condemned to continuing chaos and destruction. There is no ‘roadmap’ here to achieving stability. 4. It is only by setting up mechanisms for dialogue between nations in the region whether they are Sunni, Shia or secular and establishing protocols for conflict resolution that peace will have a chance. The FUKUS (France UK US) interventions have not been about promoting dialogue but have fuelled division and destruction. The UK Parliament is increasingly giving the appearance of being irrational and irrelevant and it is easy to understand why so many people view them with utter cynicism. I agree with George Galloway except on his concluding point that Saudi Arabia should be encouraged to do the bombing .. there should be no bombing in Syria without the consent and involvement of the Syrian government. The US Air Force will strike back at Syria’s air defense if they interfere with US plans for bombing positions held by Islamic State militants (IS, formerly ISIS), according to recent reports. IS has a significant presence in Syria. 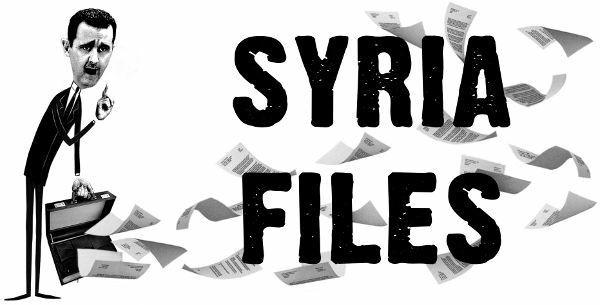 AP’s anonymous sources in the Obama administration revealed on Monday that the US is ready to ‘retaliate’ against Syrian President Bashar Assad’s air defenses if they attack American fighter jets launching airstrikes on Syrian soil. The US “has a good sense of where the Syrian air defenses, along with their command and control centers, are located,” AP informed. Arms from the US and its allies have fallen into the hands of ISIS, a brutal organisation that has taken over half of Syria and Iraq. The US plans to bomb ISIS in Syria but refuses to coordinate attacks with the Syrian government, instead they say they will work with the Syrian rebel groups, some of which are allied to ISIS. These rebel groups will effectively tell the US air force where to strike. Should the USAF ‘inadvertently’ strike Syrian government positions and should the Syrian government defend themselves by shooting down US planes then the US pledges to destroy the Syrian air force and air defences. And the Syrian people who have been suffering in the conflict(s) between their government, the rebels and ISIS will now, also, be bombed by the US. This seems neither logical (in terms of achieving its stated end) nor humane (in terms of minimising suffering) nor legal (in terms of being endorsed by the UN). How is there not outrage at the obscenity of these proposals?